Boots- Zara £80 Im in love with these boots and although there alot more expensive than some hughstreet shops i think its definitely worth it for the quality you are getting plus these have fur inside! T-Shirt- River island £16 I think this is the perfect top for just throwing on with leggins or jeans for them no effort look days! Shoes- Zara £40 I don't know what it is about these shoes that i love so much but i want them so much these would just look perfect with a leather jacket because of the leather trim, which i love! Blouse- H&M £19.99 I have been after this type of green coloured blouse for a while and i just love the shape of this and i think the price is very reasonable! Skirt- Topshop £35 I think this skirt is so cute and would look lovely with a black blouse and tights in winter! Sports Rib Mini Dress- Topshop £24 I really lie the contrast between the grey and black, i always tend to pick thing that have a nice trim on them so this is perfect for me! Nike Roshe Runs- Nike £70 I have been wanting these for so so long so i think now that its coming up to autumn/ winter it would be the perfect time to get some! Skirt- Topshop £45 I have definitely fell in love with this skirt, not sure if it is perfect for autumn/winter but i just love it! Boots- H&M £30 I think these boots are a massive must have as these are an amazing price! 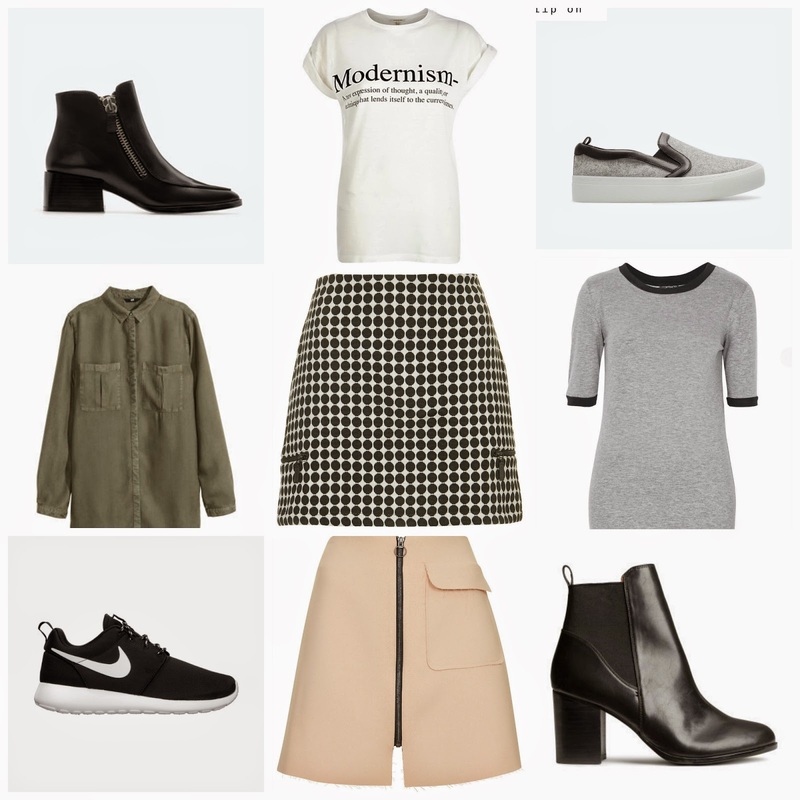 What are you wanting this autumn/ winter? 7 comments on "Autumn/Winter Wishlist "
I recently bought some boots from eBay that are exact dupes for a pair of Boots from Topshop and love them! I have written about them over on my blog! Zara is one of my faves and loving their AW collection!